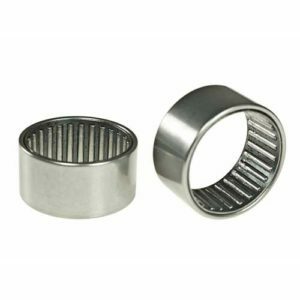 We carry a complete selection of high-quality angular contact thrust bearings. Need help in selecting the best products for your particular application? We’re here to make your job easier. 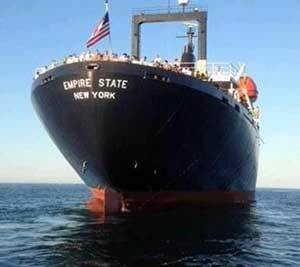 We offer UPS same-day shipping on the best angular contact thrust bearings and a variety of other products. 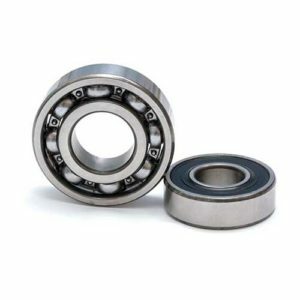 Angular contact thrust bearings are designed so there is an angle between the races and the balls while the bearing is in operation. 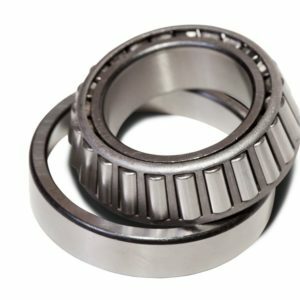 An axial load passes in a straight line through the bearing, as opposed to a radial load which takes an oblique path that tends to want to separate the races axially. The angle of contact on the inner race is equal to that on the outer race. Angular contact bearings are typically assembled with a thrust load or preload. 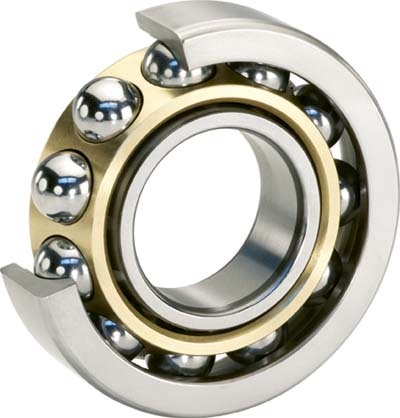 The preload creates a contact angle between the inner race, the ball and the outer race, and can be done during the bearing’s manufacturing, or once the bearing is inserted into its application. The angle of contact for this particular bearing is measured relative to a line running perpendicular to the axis of the bearing. Angular contact bearings are able to endure heavy thrust loads and moderate radial loads. Larger contact angles allow for higher axial load support, but they lower the radial load. The larger the contact angle (typically in the range of 10 to 45 degrees), the higher the axial load supported, but the lower the radial load. In high-speed situations (including turbines, jet engines, dentistry equipment and more), the centrifugal forces change the contact angle at the inner and outer race.